There are hundreds of variations on satay across Southeast Asia – Mandy Yin takes inspiration from Malaysia, specifically her home city of Kuala Lumpur, for her take on this much-loved dish. 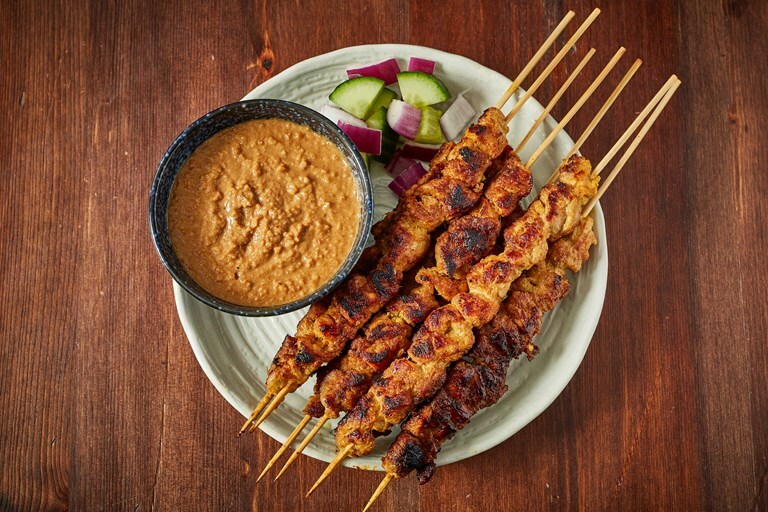 Lemongrass, palm sugar and a range of spices form the backbone of the satay marinade and Mandy uses dry-roasted peanuts to provide deep, earthy flavour for her peanut sauce. Most important of all? A ripping hot grill – preferably a barbecue – to get that flavourful charring on the chicken. As founder and head chef of Sambal Shiok in London, Mandy Yin is at the forefront of modern Malaysian cooking.